Perfect for hauling home large purchases made in store, Menards offers the “Pick-Up & Go” truck and cargo van, allowing you to take your purchases directly home so you do not have to wait for delivery. However, even if you do not make a purchase at the store, they will still allow you to rent the truck as no purchase is necessary to reserve one. Like U-Haul, Home Depot and other companies that allow you to rent a truck, it will come at a fee, however. 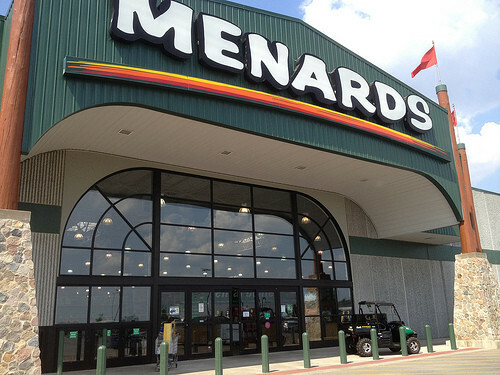 How much does a Menards truck rental cost? To rent a truck at Menards, you will need to commit to the first 75 minutes at a minimum, which, regardless of the truck you choose (truck or cargo van), starts at $18.95 and after the 75 minutes expire, you are then charged $5 for each additional 15 minutes, rounded to the next quarter of an hour, plus $0.30 for every mile driven. These prices are listed on the official Menards website and are accurate at the time of this publishing. To reserve a truck or cargo van, a $50 rental deposit is collected at the time of your rental, which, upon returning, will be refunded as long as the vehicle is free of damage. This rental deposit must be placed on a credit card. Renters must be 21 years or older, hold a current valid driver’s license and have a proof of insurance. All rentals must be returned at the end of the business day. Brand and models vary by store. If concerned about this, call the rental services at your local Menard’s to see which options are available. Be sure to check out the store’s official locator before heading to the store to make sure they even offer truck rental services.